Riverbend Calgary | Have YOU Ever Been Here? It's #62 on the map above, in the southeast part of Calgary, near the intersection of Deerfoot Trail and Glenmore Trail Calgary, just across the Bow River and up the escarpment a bit from the luxury car dealerships. Just look at the map. 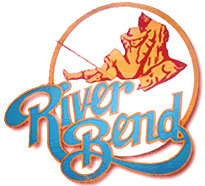 Riverbend was built in the 1980's and 1990's, currently has a population of just over 10,000 and is home to the owner of THIS website. Riverbend in Calgary is named, not surprisingly, after a nearby bend in the river, and is surrounded by extensive rivervalley parks, with names such as Carburn Park and Southland Park. The most desirable homes in the area and one schoolyard backs onto these parks. The Riverbend Community Association Calgary has many programs for kids, Jazzer Tots, Kel Soloway Dance Arts, martial arts, Jazzercise (for kids and adults too). They have many fitness programs for adults and seniors (carpet bowling!). The usual things are here too, Scouts, Guides, Brownies, Sparks, skating and hockey, meeting hall and additional rooms, kitchen, games room, outdoor Barbecue and sports fields. Great place to have your wedding. Good things in Riverbend Calgary. This is one of the ultimate in clean, affordable, convenient family neighbourhoods. There is plenty of shopping and two schools within Riverbend, a large tot lot, paved lanes and good driving and bus transportation. Soon there will be a C-Train line, station and new community on the east side of 24th Street as well. Green belts throughout make dog-walking and cycling a pleasure. Quiet streets and cul-de-sacs, some with estate homes backing onto the river parks, offer sought after locations and secluded living amongst maturing trees. Some have views of downtown and the mountains. The new cafes and shops in Quarry Park, right next door, add charm and even more convenience to Riverbend. The easy drive to and from downtown along Glenmore and Deerfoot (or Blackfoot or MacLeod) Trails adds even more convenience. Then there's the schools. The kids in kindergarten to grade six have the Riverbend School, just down from the McDonald's. Junior high kids go to Sherwood School and Senior Highs attend Central Memorial High School by designation. In the Calgary Catholic School District, both Holy Angels and St. Cecilia take kindergarten to grade 6, St. Augustine School is where kindergarten to grade 9 can attend and Bishop Grandin is the high school serving the area. Go back from Riverbend Calgary to the Calgary Real Estate web page, or visit the Calgary City Maps homepage. Like this? Think somebody else will? Leave me a comment in the box below.